So. Food. Christmas. Love it. We've established that. And I am a breakfast enthusiast, to say the least. So, naturally, my newfound obsession with mince pies has sort of...spiralled out of control. 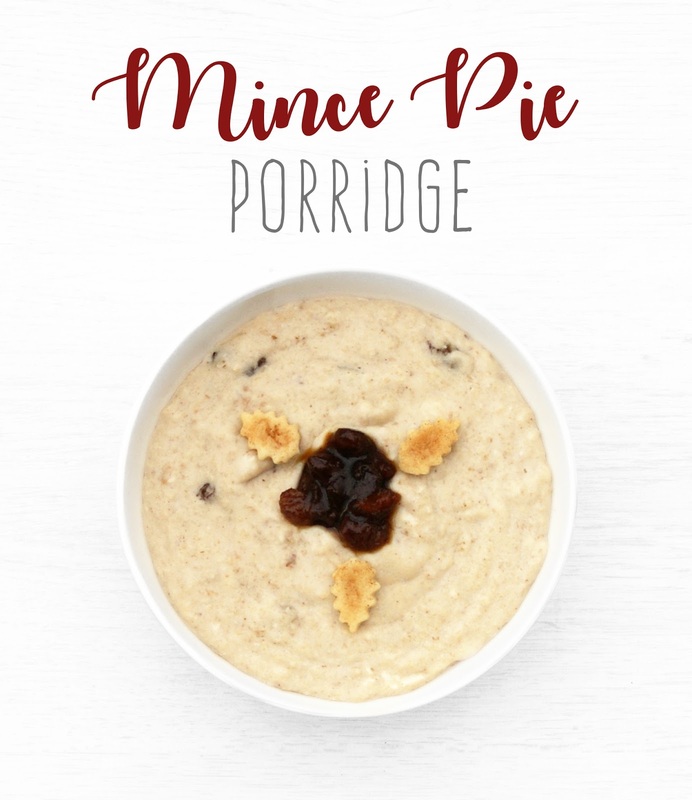 I already made mini skinny mince pies, and I've been experimenting with mince pie flapjacks (though when Graze decided, due to demand, to re-release them this year after all, my efforts in that area have diminished), but there was no way I could avoid experimenting with breakfast. 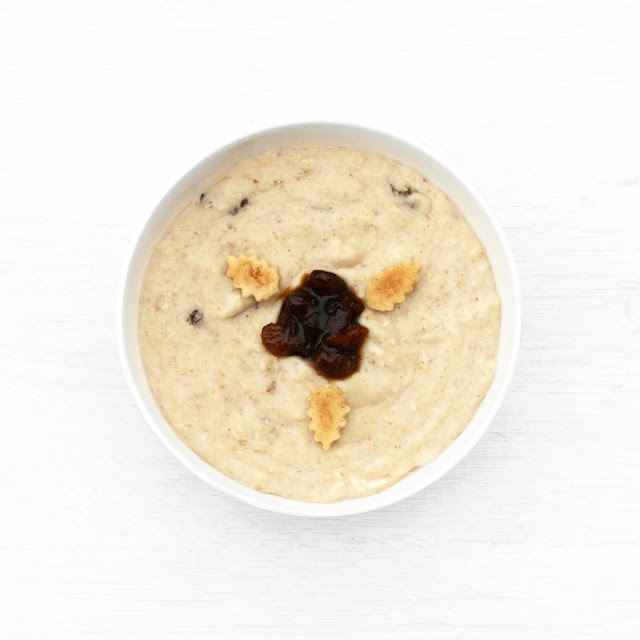 And as my favourite breakfasts are porridge and canvas cake, I opted for...well I suppose the title gave it away but I opted for a festive mince pie porridge. Fancy canvas cakes take a bit of planning and this was somewhat spontaneous. I garnished it with tiny yogurt pastry leaves I made the day before with my mini mince pies, and I separated the mince pie filling to add a little on top instead of mixing it all through. And you can use any mince pie filling, store-bought or home-made, but I used Meridian's organic mince pie filling - no added sugar, nothing artificial, just fruit, molasses and spice. 2. Stir in the milk, mixing all the while to avoid the protein lumping, then turn the hob to medium heat and add the freshly boiled water, mixing again. 3. Bring to a boil, then reduce the heat to low and add the mince pie filling - if garnishing, set a teaspoon aside - and stir to combine. 4. Allow to thicken for about 5 minutes on low heat, then transfer to a bowl and serve, adding the left over mince pie filling on top if desired. • If the flavour isn't strong enough, add more mince pie filling or just more spices; Meridian is quite sweet, as noted by Seeg after eating just one mini mince pie (20g filling and no sugar or sweetener in the pastry), but you can add honey or Stevia if needed.